Explains how the wealth management sector is being affected by competition from low-cost robo-advisors. Explores technology and start-up company disruption and how to delight customers while managing their assets. 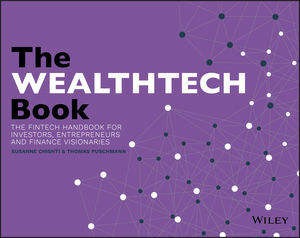 Explains how to achieve better returns using the latest fintech innovation. Includes inspirational success stories and new business models. This book is essential reading for investment and fund managers, asset allocators, family offices, hedge, venture capital and private equity funds and entrepreneurs and start-ups.